Call us today at (402) 408-6561 ! Omaha chiropractor, Dr. Jeremiah Rethwisch at Rethwisch Family Chiropractic, P.C. 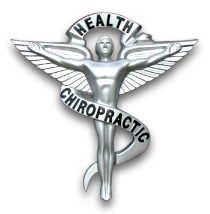 is one of the top chiropractors in the Omaha area specializing in chiropractic care for the entire family! Dr. Rethwisch is a chiropractor committed to providing pain relief for several conditions including whiplash, muscle spasm, radiculopathy (pinched nerves), stenosis, headaches, tennis elbow, plantar fascitis, rotator cuff syndrome and of course neck pain and low back pain. Dr. Rethwisch has additional training in the diagnosis, treatment, and documentation of whiplash and other common car crash injuries. Our Omaha Chiropractic office is in network with all major insurance companies, including: Blue Cross Blue Shield (BCBS), Aetna, United Healthcare, Cigna, Coventry, PHCS, UMR, BAS, HealthEZ, QualChoice, Golden Rule, just to name a few. At our Omaha chiropractic office you will receive the best care through the combination of all modern chiropractic techniques and physical therapy technology. Typical treatment plans including manual joint manipulation, stretching and strengthening exercises, and the latest physical therapy modalities such as cold laser therapy. Dr. Jeremiah Rethwisch and the staff at Rethwisch Family Chiropractic PC have a genuine concern for your well-being and health! Call us today and we can develop a chiropractic plan specific for you.